Why Donate to the Lakota Dakota Nakota Nation? We are NOT a 501c operating under the dominating culture, but exist under careful, thoughtful compliance and currently accepted accounting practices well within compliance of the laws of such under the dominating culture of the U.S. We are a traditional spiritual sovereign nation with no visible nor tangible material means of outside funding or support other than the work of our own heart and hands and any donations you may choose to make here are NOT TAX DEDUCTIBLE by U.S. imposed laws, but deeply needed and appreciated if you are willing to help support our traditional spiritual nation. If you have crafts or material items available for sale that you would like to contribute to help raise funds for the prayerful and dream inspired continuation and update of this site and this Lakota Dakota Nakota Sovereign Nation, please send email to Webmaster.. Pilamayeahya - THANKYOU! Traditional Spiritual Dynastic Grand Chief of the Great Lakota, Dakota, Nakota Nation re-established 1991 by traditional spiritual Oceti Sakowin at a sacred ceremony at Bear ButteThe above 1970s' photo was taken during meeting at United Nations in GenevaRichard Deo Grass is blood line descendent of Chief Two Strike, Chief Red Cloud, Chief White Swan, Chief Sitting Bull, Old Chief Frost, Chief White Bird, Chief Crazy Horse, and Great Grandson of John Grass, Mato Watapke, Great Grandson of John Grass, Mato Watapke. "Our Traditional spiritual ways have great power, and it is time we worked with that." Following the footsteps of my Great Grandfather, Chief John Grass, as Chief for the L.D.N. Nation and dynastic Grand Chief of the General Council, I have posted this web site for educational purposes as a resource of strength and pride for our people, to help broaden understanding of our nation, and to give insight into the work being prayerfully done to see that the treaties now still in force are finally honored, as the remaining peace loving traditional spiritual ways of governance of our Oyate continue to work to preserve our broad land base, our unique and beautiful languages, traditional, cultural, and spiritual ways of life for our people now and to benefit all nations' future generations. The Lakota have no intention of depriving anyone of their equity or just title. In simpler terms, the Lakota have a proprietary right as principal, and the U.S. as agent has made huge profits and incurred great losses using the lands, resources, and peoples of the Lakota region. The losses are now so great that the principal must institute special measures to correct the problem because the principal is the one upon whom such a duty is incumbent. Thus the Lakota Chiefs have several projects in mind to ... that should also benefit the world at large, one being, the creation of this website... Chief Richard Grass (whose work continues through his sister, webmaster, and those remaining few elders who have workerd with and witnessed the 1991 ceremony at Bear Buttle re-establishing this nation for the 7th Generation. 1. 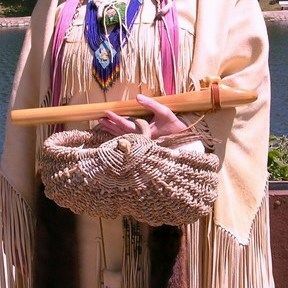 To be recognized as a viable Nation (not a corporation or state) continuing to work internationally to implement successful ways to preserve our broad land base, unique and beautiful languages, traditional, cultural, and spiritual ways of life for our people now and to benefit all nations' future generations. 2. To work with what talents and funds that come to keep this web site online and to find some way to see that the truth of our nation and ways may be finally told and broadly published; the the manuscript "John Grass, American Indian Patriot" written by Angela A. Green Boleyn, in the Moon of the Tipsin Buds, 1961, and later gifted by her family heirs at her request to the remaining Grass family dynasty may finally be published and made available to all peoples.. This book has awaited a good time and way to be published in it's entirety, to tell the world of the true Spiritual Traditonal Lakota-Dakota-Nakota story and our ways of life, as well as to finally reveal many unknown facts about the Battle of the Little Bighorn, our true peaceful and cooperative relationships with many tribes, and document our nations' origins and the dynastic line of Traditional Chiefs that have been preserved down to this day. 3. To maintain, grow and support this web site and the administrative costs of the L.D.N. Nation, so that workable ways may be found and implemented for our nation to thrive again, to strike a balance of living within our traditional values in these modern times so that we may become a strong, dynamic, self sufficient and self sustainable soveriegn nation living in respect of Mitakuye Oyasin (all our relations - we are all related) and thus begin again to provide for the many urgent needs of ALL our people both on and off the reservations. 4. To publish this informational website worldwide as a vehicle to communicate to all interested parties the facts about the Treaties made between this nation and others, and present additional relevant documentation, so as to educate and work through all available legal and international means to see that the provisions and implications of these treaties are finally and fully understood and honored by all parties. Click here to Listen to a 4-28-10 online interview with Chief Richard Deo Grass, descendant to Chief John Grass (Mato Watapke - Charging Bear - Oglala, Lakota, Sihasapa) wherein he explains how he was eventually located by the Elders and informed of his lineage and duties to re-establish this nation. This is a unique, traditional and spiritual government that walks the Red Road with our sacred cannupa before us (Peace Pipe), which re-established itself in the 1980s and in a solemn assembly along with an authentic traditional spiritual ceremony at Bear Butte July 1991 Chief Richard Deo Grass - Charging Bear - was officially installed and appointed as the heir and modern day successor to the John Grass dynasty of Chiefs (John Grass – Charging Bear - family of Chiefs were present at and signed both of the Treaties referred to throughout this web site, John Grass was a major strategist at the Battle of the Little Big Horn and went to Washington on numerous occasions in noble attempts to negotiate with U.S. officials on behalf of the LDN Nations' peoples). This www.LakotaDakotaNakotaNation.org web site has been established in order to give a peaceful place and respectful forum with which to educate and unite our people as intended by our ancestors who prayerfully signed the treaties, now SEVEN GENERATIONS later; to document these facts and make them public throughout the world and to re-establish our natural kinship relationship upon our lands to bless all our relations. Mitakuye Oyasin. Through this means we hope to bring attention to and publish the truth of our history, in part by putting into print manuscripts about the life and times of Chief John Grass passed down to our family for publication in these times. This government was and has always been integrally involved in still in holding to the Treaties of 1851 – 1868 and is totally committed to seeing them honored fully by both parties. Although we welcome and embrace any who walk in a sacred manner in traditional spiritual ways of our ancestors (regardless of their race or affiliations in the dominant culture), this LDN Government operates and is separate and distinct from any other forms of “government” ,movements, self publicized “holy leaders”, corporations, 501c "non-Profit" establishments or U.S. Government sponsored organizations and social or tribal government or militant backed groups or corporate sponsored programs expressed upon “Sioux” lands and territories per the findings, statements and documents on this official web site and hereby presented.